The VariCam 35’s superb image handling in multiple formats including 4K, UHD, 2K and HD make it an unparalleled tool for high-end filmmaking and commercials and episodic production as well as live 4K events. 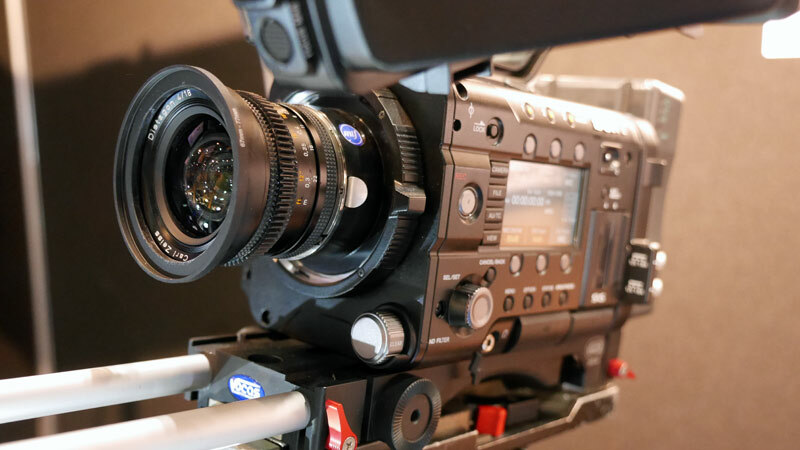 With an expanse of formats ranging from flawless 4K RAW output to more practical 4K, UHD, 2K and HD capture, the VariCam 35 represents a matchless option for premier digital capture. 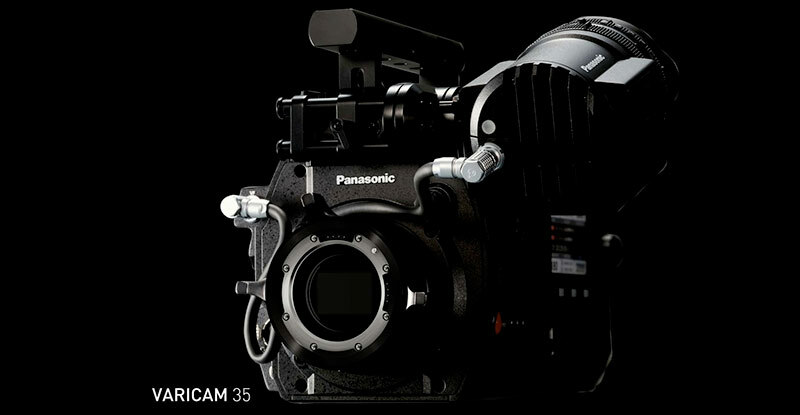 The VariCam 35 utilizes a new Panasonic super 35mm MOS sensor for 4096 x 2160 (17:9) 4K image capture; this imager when combined with the AVC-ULTRA codecs for 4K enables very manageable and practical 4K production file sizes. The new imager boasts an impressive 14+ stops of latitude, and faithfully captures high-contrast, wide dynamic range imagery without compromise. The VariCam HS utilizes three newly-developed, 1920 x 1080p MOS imagers with an extraordinary 14 stops of dynamic range, providing full control over wide range lighting conditions for unparalleled 1080p native recording/operation. Among the camcorder’s key features are real-time high frame rate and off-speed recording to 240fps in 1080p (using AVC-Intra Class100), plus the ability to ramp / change frame rates during record. 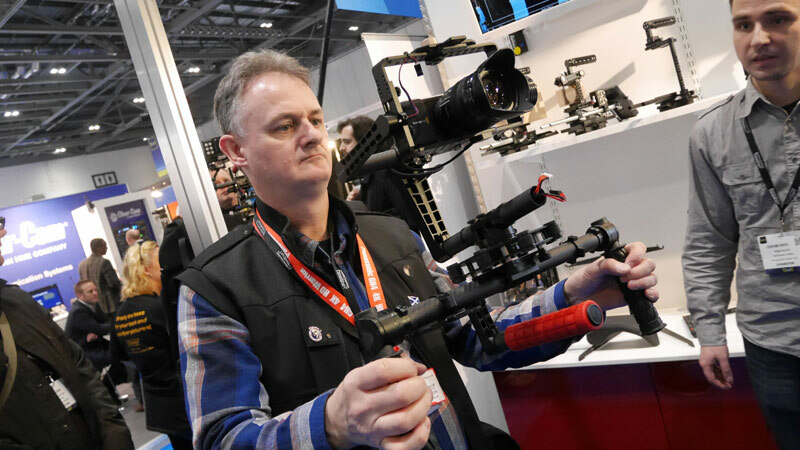 The VariCam HS will feature a range of high-quality recording formats including AVC-Intra Class100 (recording as 1080/24p, 30p or 60p format with VFR (up to 240p), AVC-Intra Class200 (up to 30p/60i) and AVC-Intra Class4:4:4 (up to 30p). Both AVC-Intra Class200 and AVC-Intra Class4:4:4 deliver spectacular performance in applications where image quality is the utmost consideration. The 4K and 2/3″ VariCam will both use Panasonic’s new expressP2 card for high frame rate recording; each camera is equipped with four total card slots, for two expressP2 cards and two microP2 cards. Both VariCam models will launch fall 2014, with pricing to be announced. 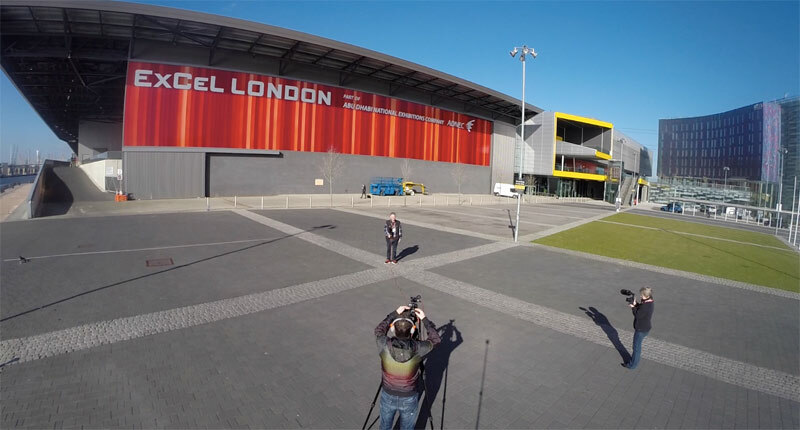 Excel as a venue is far better in my opinion, it was heaving with people, great for parking and a dedicated train station, even hotels are on site but be warned we were in a Travelodge 3 miles away and it was half the price of the same lodge onsite. 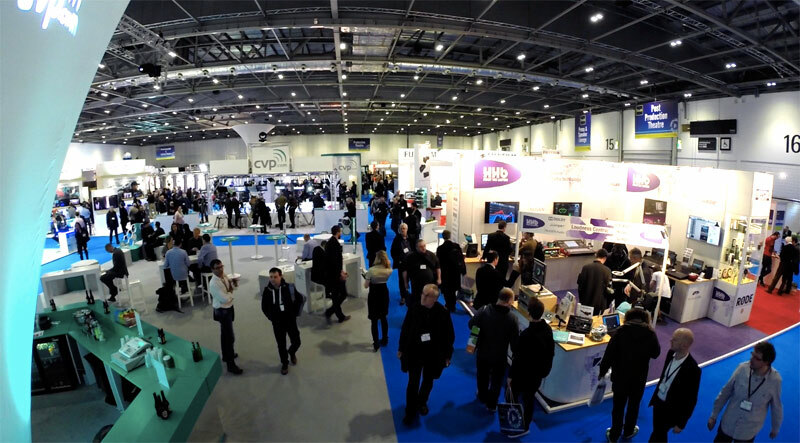 This GoPro picture was taken about 10.30am and not representative of the crowds of people that turned up around lunchtime. 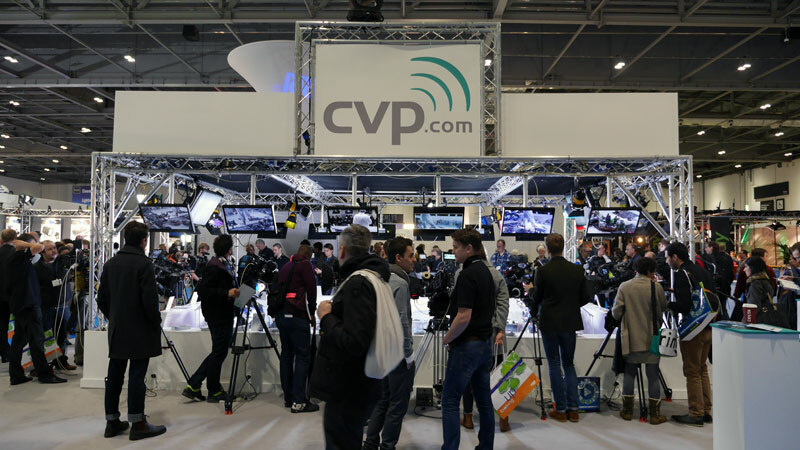 CVP had a shooting gallery allowing you to try many of the latest camcorders including the Sony NX3. 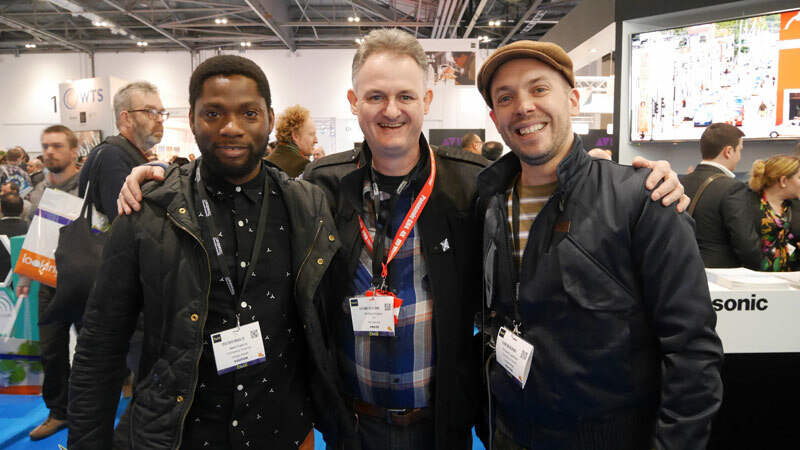 The boys from Kine Lenses were very happy with attendances, they recondition Zeiss SLR lenses for use in cinematography. 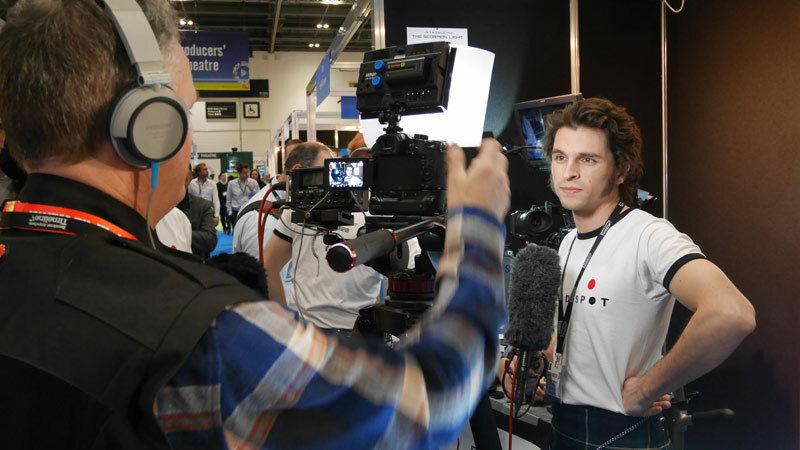 Finally the stand of the show went to Panasonic but strangely not for broadcast reasons, the GH4 was on show and it was the camera of the show, everyone wanted hands on, lots of questions as well to the Lumix reps, in fact I can exclusively reveal that without a card in the camera you can take the camera’s HDMI output into an external recorder giving you 10bit 422…I like many others thought that was only possible via the SDI adapter. 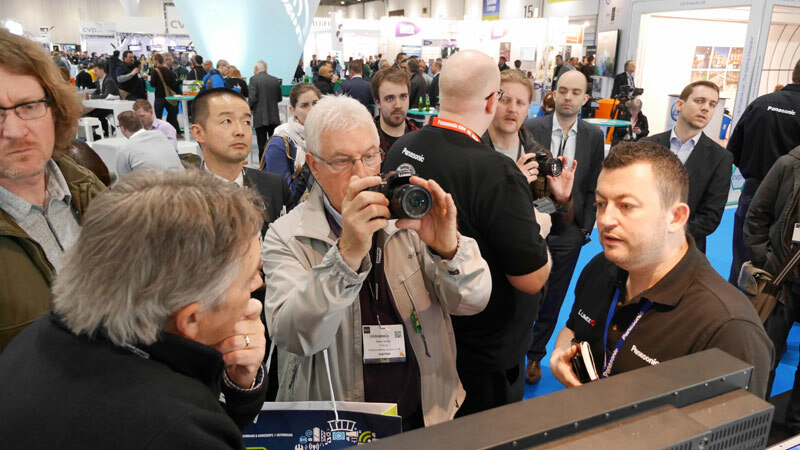 There are two new camcorders this year at BVE, the PX270 from Panasonic and the HM850 from JVC. 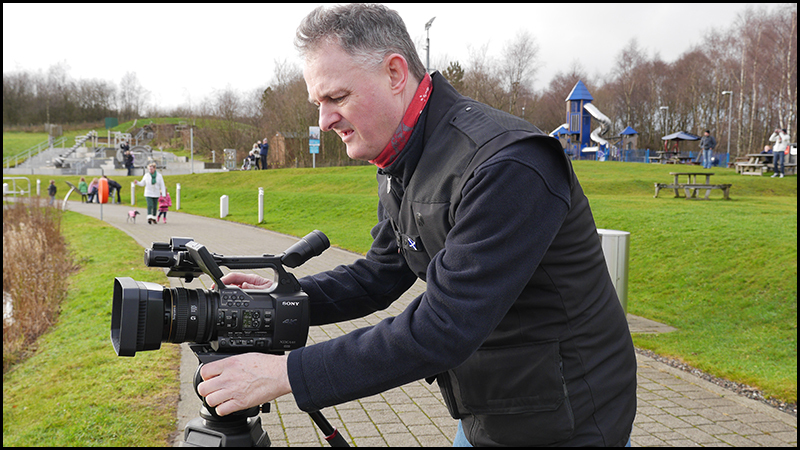 Starting with the PX270…10bit, 4:2:2, micro P2 and a new pro menu system, Panasonic have worked hard to produce a fantastic hand held camcorder that meets all the same specifications as a full blown shoulder mount. I recorded some 1080 50i footage onto a SDHC card at both AVC-Long G50 and AVC-Long G25 with no discernible difference in picture quality, this is due to the efficiency of the ULTRA codec. 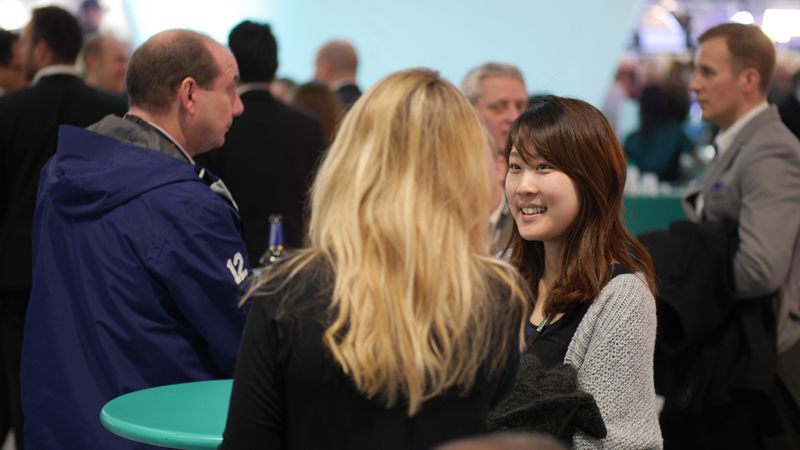 The long awaited shoulder mount JVC KY-HM850 was on show now delivering 1080 50p at 50Mbps. This would make a good partner for the HM650. We spoke about reviewing the camera during March so I can give you a better idea on the picture quality when I get one to film with. 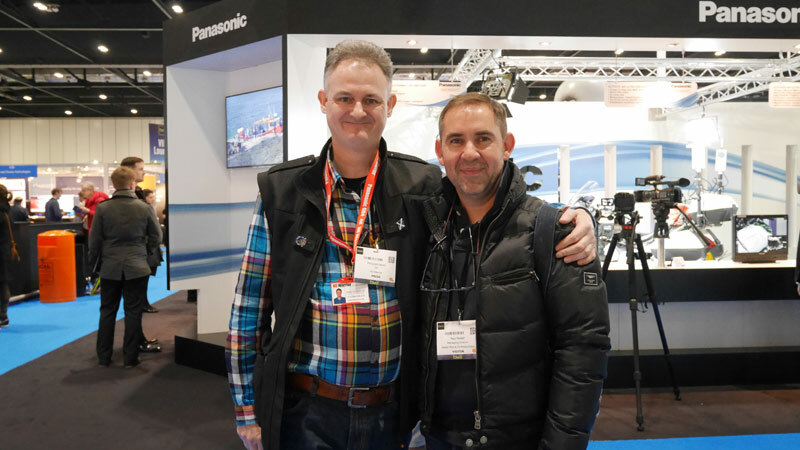 As you can see I have produced a show video which includes Richard Payne of Holdan, Production Gear, Panasonic, Sony and JVC. When you phone Holdan’s the bright and breezy voice at the other end is the lovely Jamie. 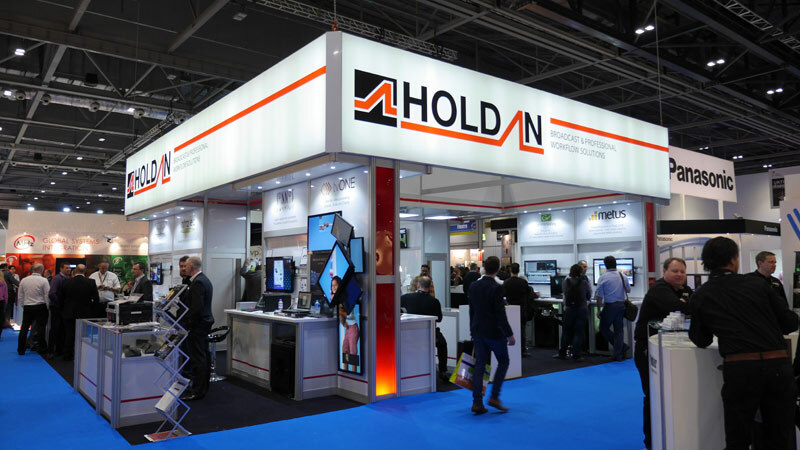 The Holdan stand was interesting especially the fantastic easy to setup and light green screen. This uses two polls of LED lights which give an overall even brightness. 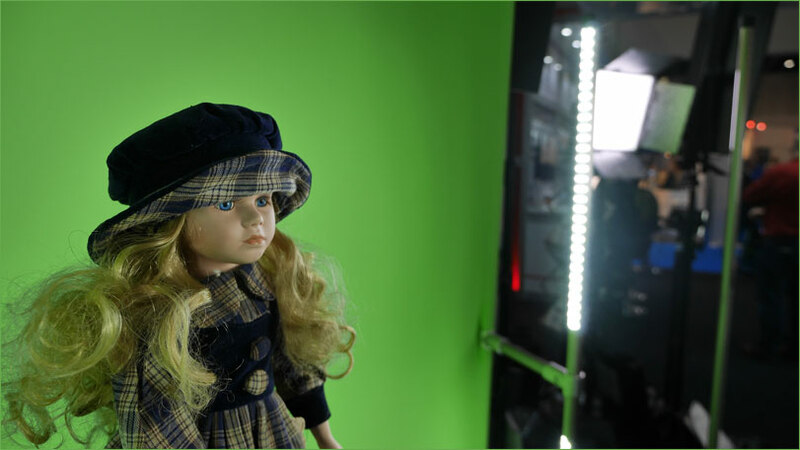 It works a treat and although the cloth plays a part in the magic this is by far the best green screen I have seen in a long time. 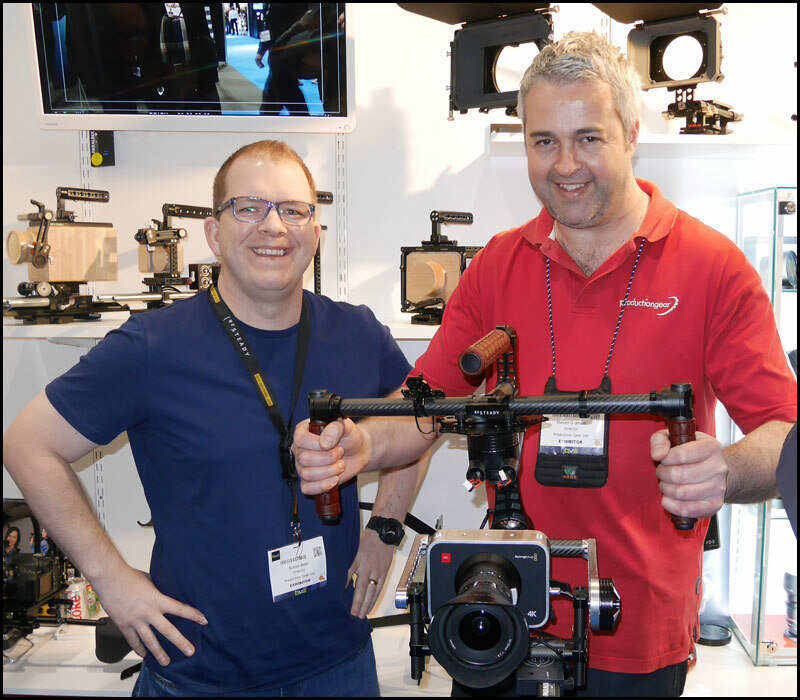 Simon and Steven at Production Gear were showing off the B Steady stabilisation system alongside the 4K Blackmagic cinema camera. I had the Blackmagic cinema camera on my B Steady how it compares to a MOVI I don’t know as I never got to play with one though the B Steady is about half the price of a MOVI. Another two readers of HD Warrior. 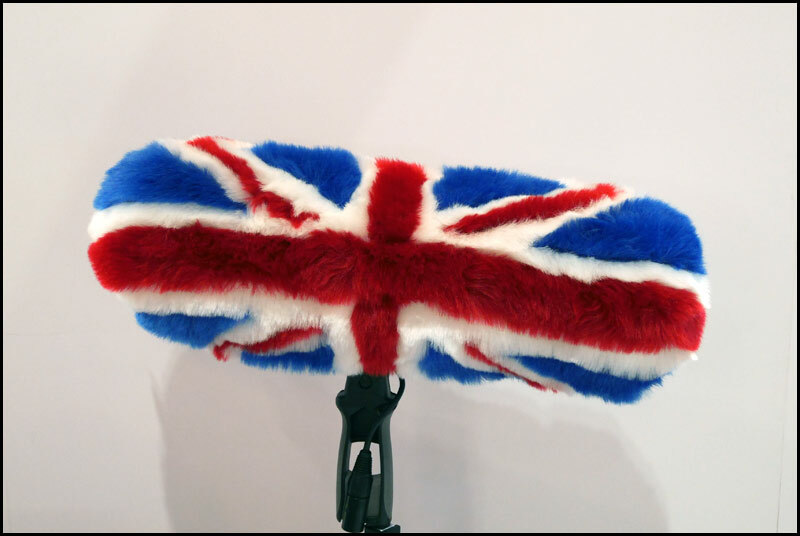 Just in time for the “say no” campaign Rycote have just brought out this UK wind jammer…not one to use with Alex Salmond. 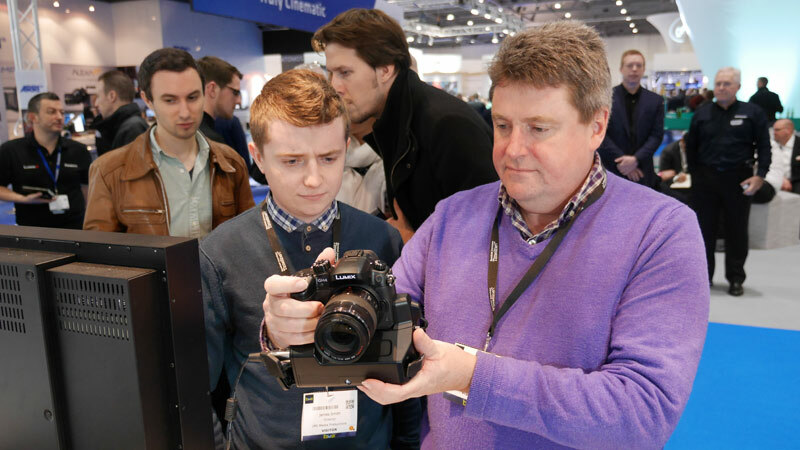 The big news at BVE 2014 is the “soft launch” of the GH4 on the Panasonic Broadcast stand, though pre production models they were good enough to satisfy me this is the way forward. 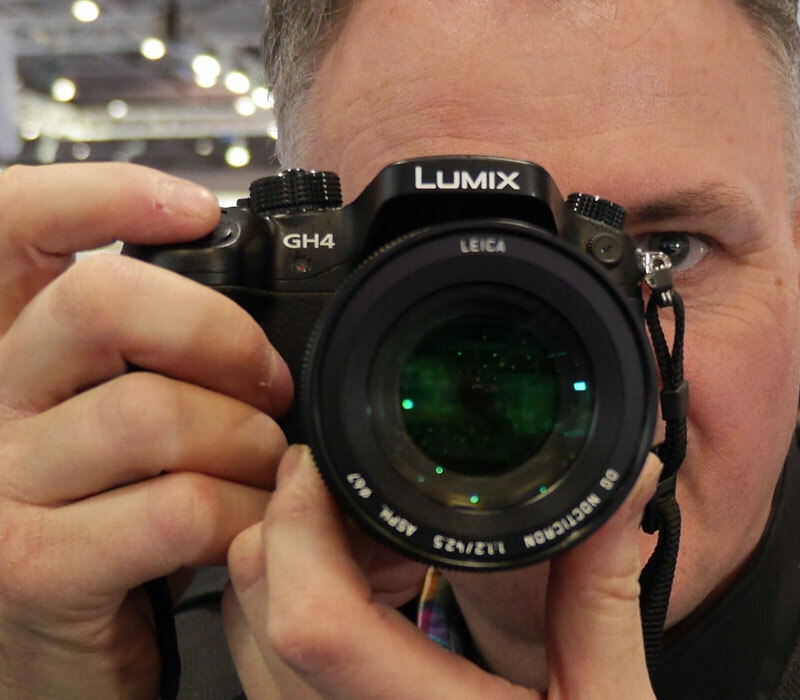 The OLED viewfinder is to die for, focusing NO PROBLEM…I also had a good look at the new £1400 42.5mm f1.2 Lumix, Leica lens. This is a picture taken with the 42.5mm f1.2 lens and even at full aperture it’s sharp as a tac. Two HD Warrior readers looking over the GH4 again no prices though the price will be announced on the 17th March 2014. There was a lot of buzz round the price, my body only of £1500 seems to be a good bet but the SDI adapter may turn out to be overpriced though I did emphasise to Panasonic the Tascam DR60 priced at £300 is a lot more powerful spec wise, self powered and records to SD card. 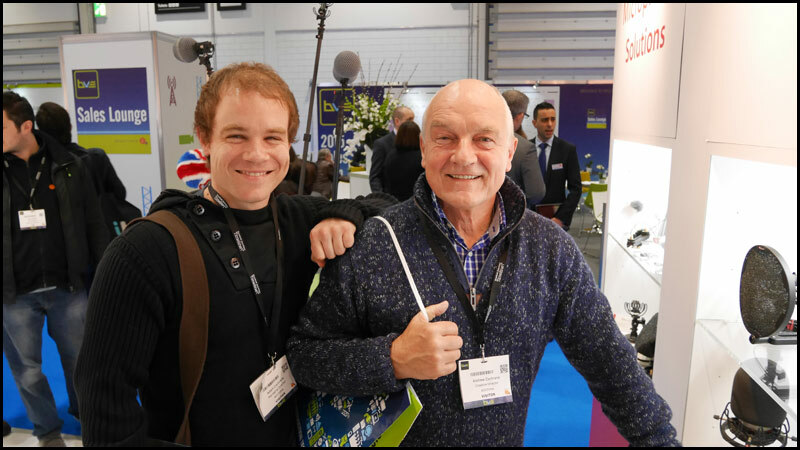 Another blog reader Peter came up to say hello…it’s the first place he looks at when he gets to work. 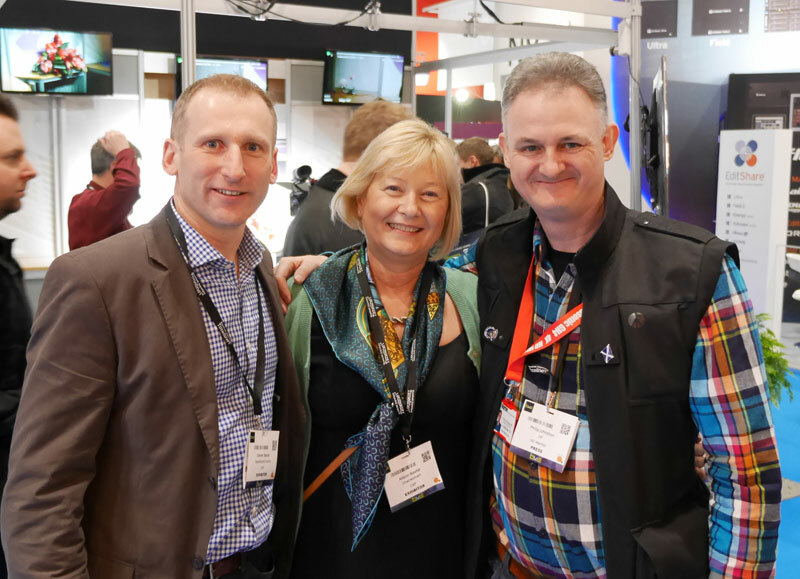 I bumped into Steven and Alison Baxter, Steven is Phil Baxters brother and the lovely Alison, Phil’s widow was a joy to meet. 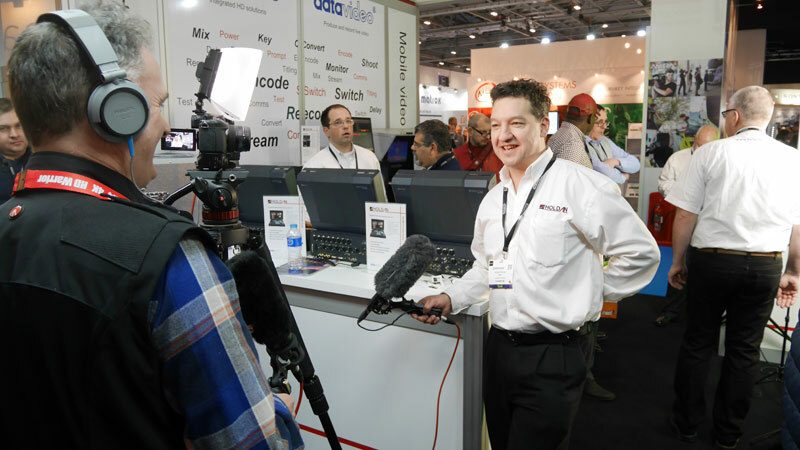 We were a bit emotional reminiscing about Phil and how he loved these shows, such a sad loss to the industry. 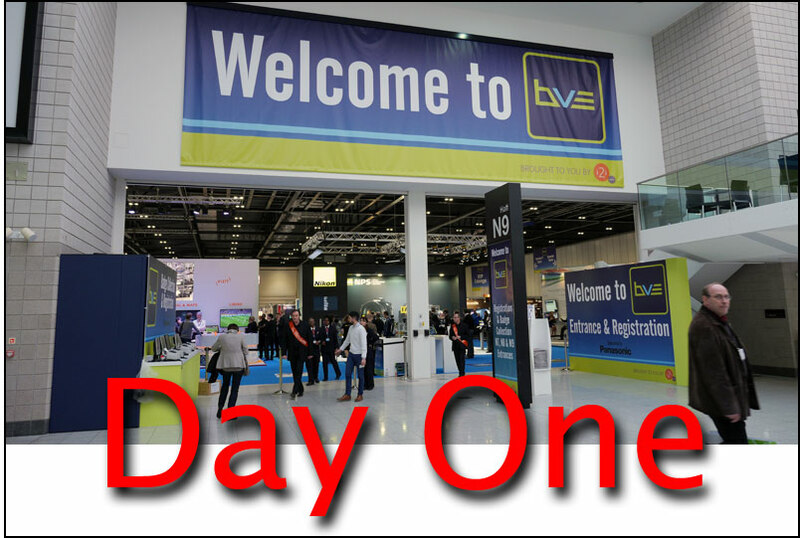 BVE 2014…the start of the 4K season ! 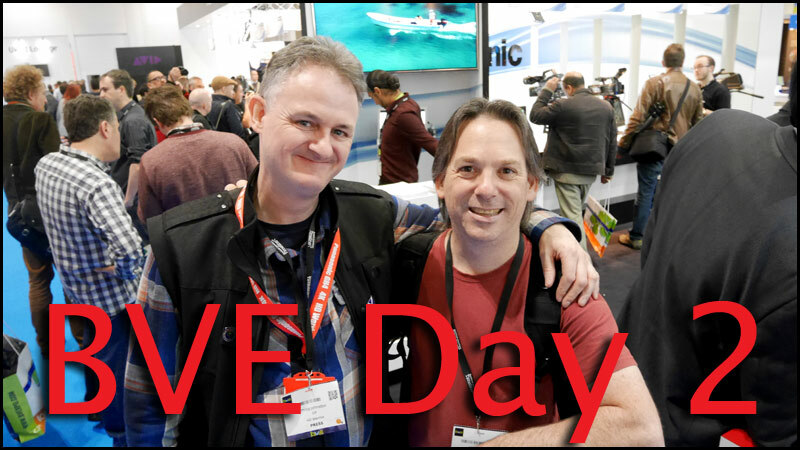 Starting on Tuesday 25th February 2014 is the second BVE to be held at Excel in London…this will be a 4K show. 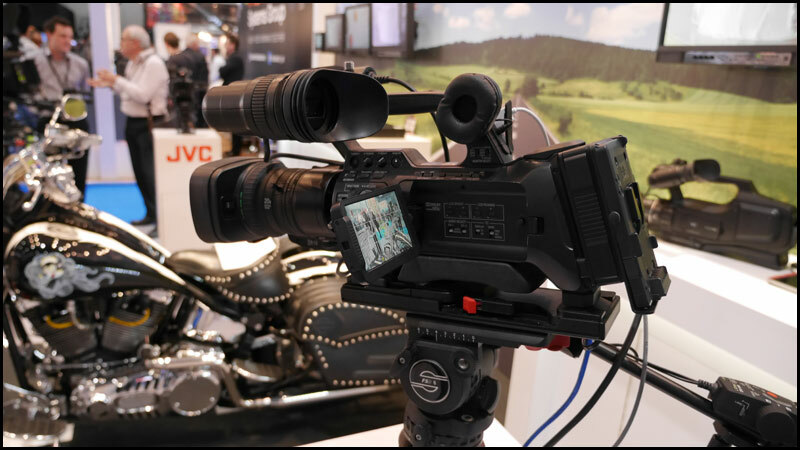 Panasonic will be previewing their PX270 micro P2 camcorder and a new 31″ 4K broadcast monitor. 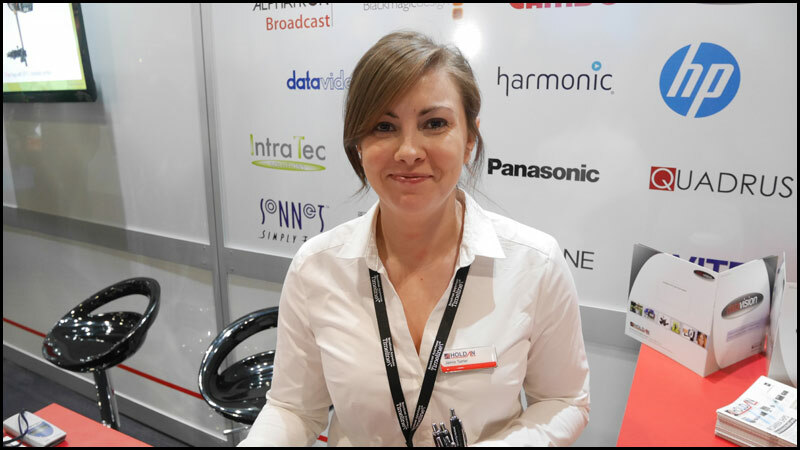 JVC will have the new HM850 on show finally giving us 1080 50p recording at 50MBps. Sony will have the NX3 and their new UWP-D11 Hybrid Digital Processing (HDP) offers the sound quality of digital audio processing combined with the reliability of analogue FM modulation. 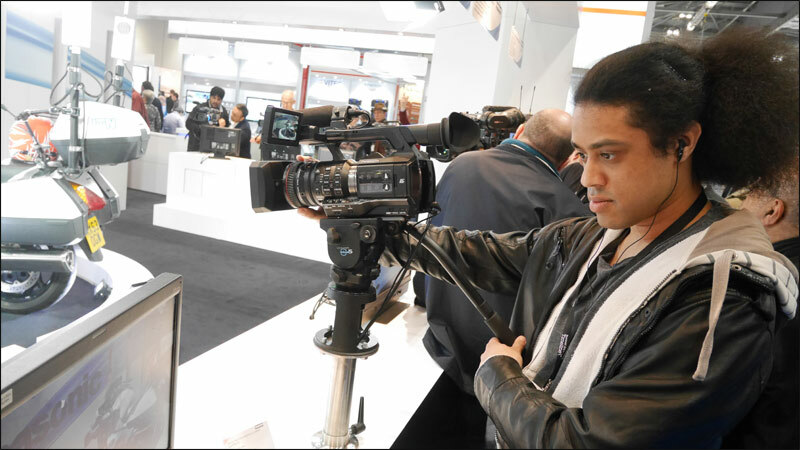 Holdan will have the new Panasonic GH4 and the new Blackmagic 4K cinema camera. Production Gear will have the BeSteady stabilisation kit and the Phantom 2 quadcopter, with a possibility of a Red Rock One Man Crew. 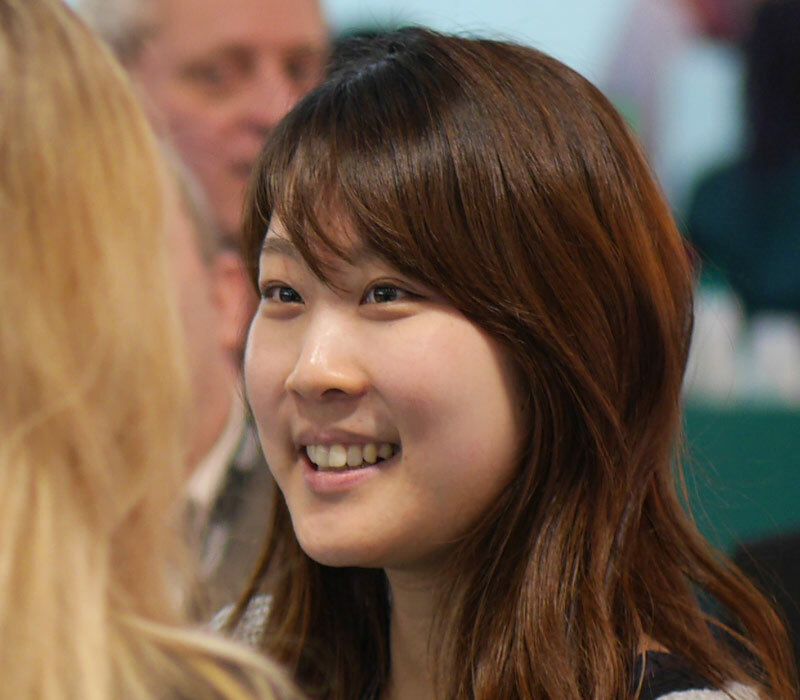 Rycote will be on hand to demonstrate the funky new wind jammers. Arri will bo on hand to show off the new AMIRA documentary camcorder as well as a host of accessories, LED lighting and lots more. 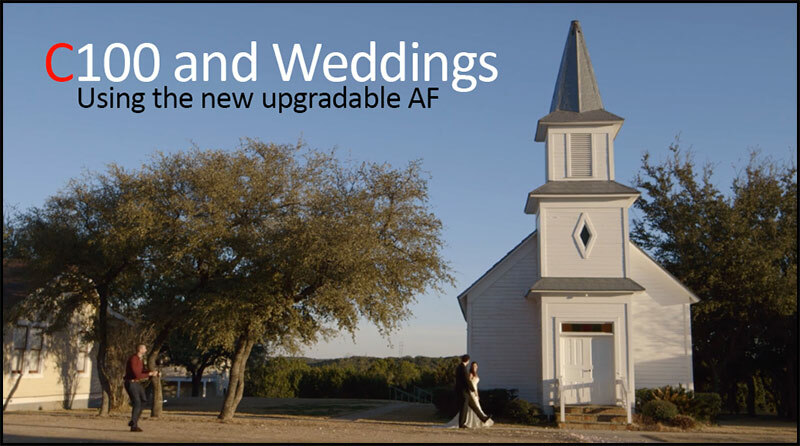 Filmic style wedding footage is few and far between though Joe Simon is a class act, my thanks to Tom Guilmette for tweeting this. Previously, Lch and Rch recordings from the internal microphone could be inverted (rare cases). This has now been corrected. Note: Audio in clips that have already been recorded can be corrected by using the editing software ‘Sony Vegas Pro 12’. After selecting HDMI output setting as below, 4K video will be able to playback on the TV compatible with 4K/59.94P,4K/50P or 4K/29.97P,4K/25P transmission system defined on the HDMI version 2.0 (YCbCr 4:2:0 / 8bit). You can now select slower shutter speeds when adjusting the shutter speed in the Slow & Quick Motion mode. 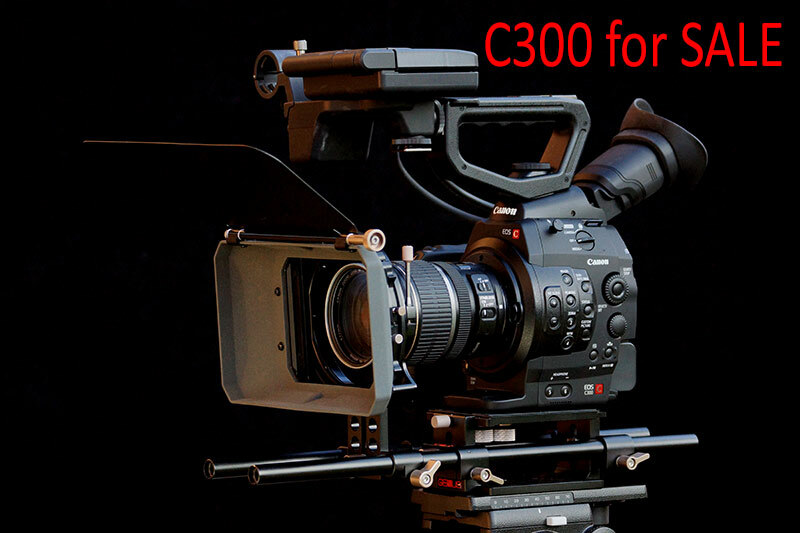 This is a once and a lifetime opportunity to own a Canon C300 as they very rarely appear second hand, she is in perfect working order and her FW is up to date. Remember the camera new is £9,279 plus vat (£11,599) from WEX. This is probably the best large sensor camera I have owned to date but I must move on so sadly she has to go and she has gone ! Every so often you see a video that makes you think…this is one of them. Having bought a GoPro HERO 3 less than 6 months ago I had an occasion to put it to good use lately in a factory as you can see from the iPhone shot that the picture was stripy…faulty. 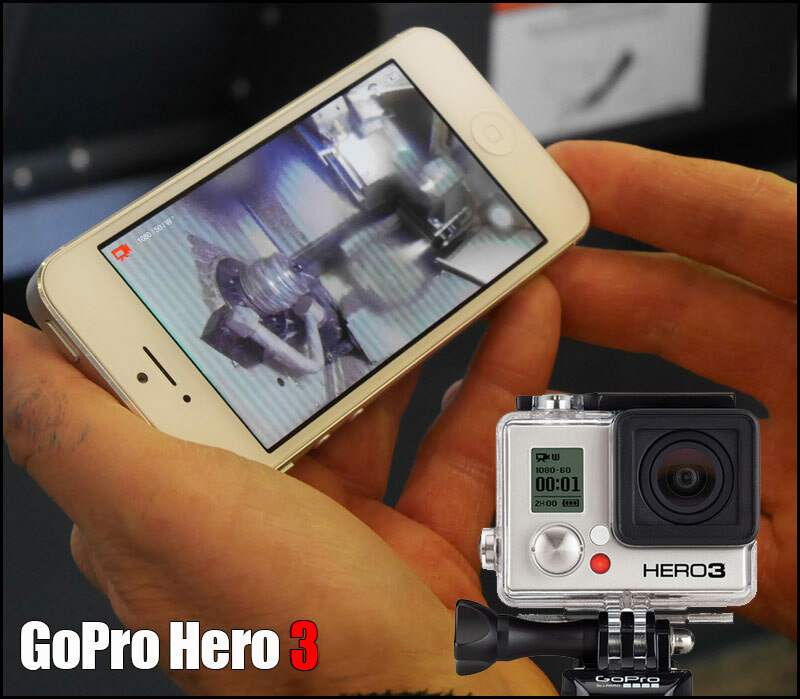 I have sent it back and await my replacement…thats not the issue, buying into GoPro’s latest incarnation the GoPro HERO 3+ you get 4x the WiFi which is a major improvement over the last model. The major improvement I was expecting to see was the addition of exposure lock and shutter speed. As you can see the menu is very comprehensive but the internet is riddled with questions about lack of exposure lock. 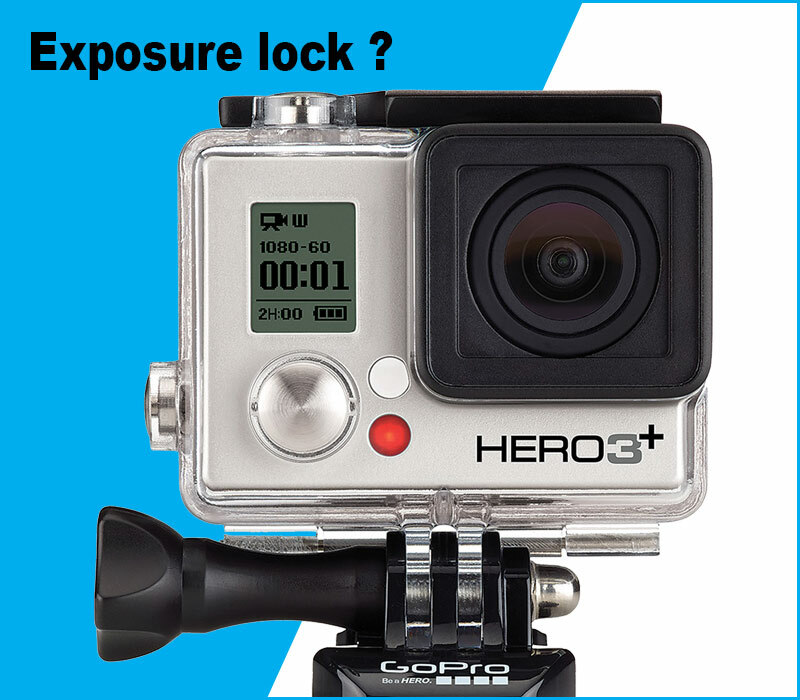 For a so called action camera I would have assumed exposure lock was a necessity . I emailed their “support” about this topic with no reply to date. The GoPro system is second to none with accessories for all occasions but in my opinion its let down badly by lack of basic professional features like exposure lock and shutter speed. 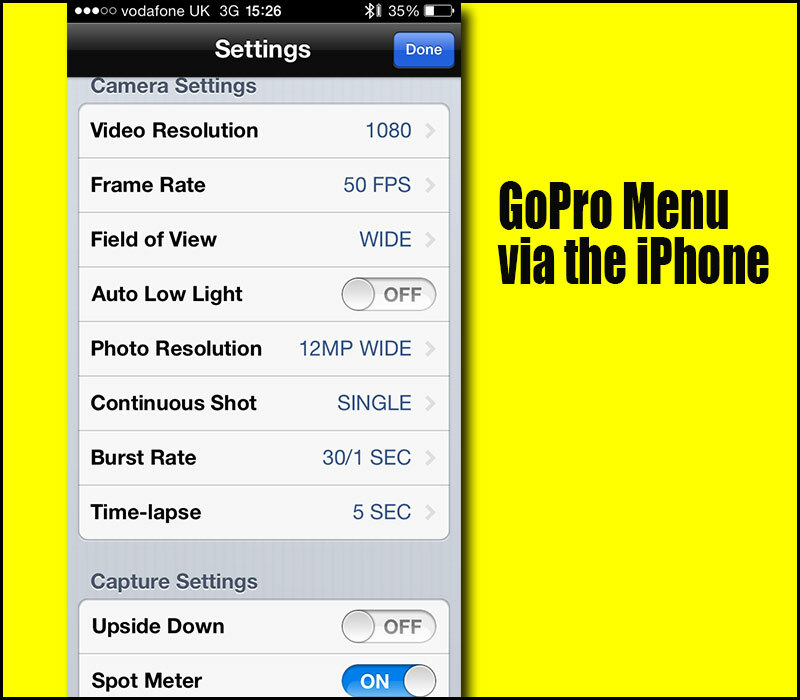 I hope GoPro are working on a FW update to fix this sometime soon !